There are tons of trendy diets floating around, and it can be tricky to figure out exactly how annoying it'll be when one of your friends announces that he or she is going on one. We chose a few of the buzziest diet programs out there and put together this handy primer on what you're in for when your best pal decides a lifestyle overhaul is needed. 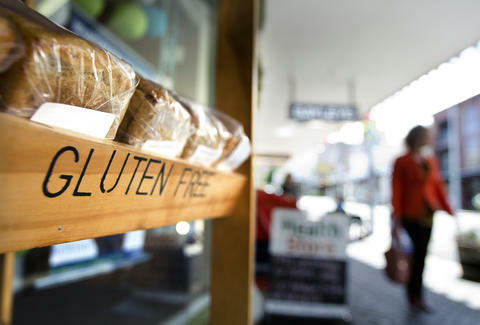 What it is: Adherents to a gluten-free diet avoid gluten in all its forms -- so, no foods that contain grains like wheat, barley, and rye. The thing about gluten grains is that they're in everything, so expect a lot of carrying on about all the things that are off limits. Why it's annoying: It's a toss-up between being constantly reminded that your friend is gluten-free ("Is that gluten-free?" "Do you have gluten-free options?" "Oh, I can't have that -- I'm gluten-free.") and being subjected to a constant litany of all the foods that contain gluten. Yes, we all know soy sauce has gluten in it, Susan. We know. Key catchphrase: "I brought my own." What it is: The Paleo diet is based on the notion that modern-day humans should consume whole and/or unprocessed foods in an attempt to eat more like our paleolithic ancestors, because our bodies haven't evolved the way our food supply has, leading to a diet that isn't optimal for the way our digestive system is designed. Off-limits foods include glutenous grains, legumes, sugar, and processed fare that Paleo dieters like to refer to as "Frankenfoods." Bye-bye, Cheetos! 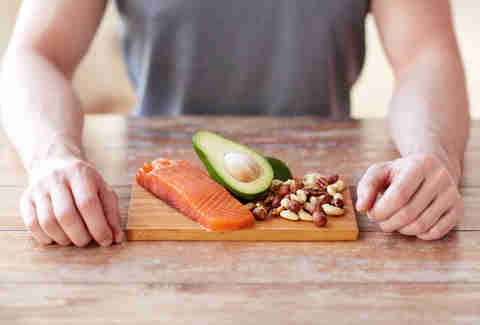 Why it's annoying: Paleo is more than a diet, it's a lifestyle. Which means you can get ready for some major evangelizing when your best friend decides to make the switch to Paleo. On top of all that, Paleo tends to go hand in hand with CrossFit, which means you should familiarize yourself with lingo like "WOD" and "boxes" unless you'd prefer to remain blissfully ignorant. Key catchphrase: "Eat like a predator, not like prey." What it is: A 30-day elimination diet intended to help people determine what effects broad food groups have on the body and brain. That means a month without any -- and we do mean any -- alcohol, dairy, sugar and artificial sweeteners, grains, and legumes. So strict is this program that even trace amounts of alcohol in Dijon mustard are forbidden, which means followers must become obsessive label-readers. Why it's annoying: Combine all the restrictiveness of a gluten-free diet with all the rabid fervor of Paleo-ites and you've got the Whole30. Get ready to hear all about "defeating the sugar dragon," which is Whole30 slang for dealing with a craving for something sweet, and about the life-changing magic of homemade mayonnaise. Key catchphrase: "That's not compliant." What it is: Vegans do not consume any animal products, so staples of a vegetarian diet, like eggs, dairy, and other animal-derived foods, like honey, are off limits. Dietary veganism is often practiced in conjunction with what's known as "ethical veganism," which excludes the use of animal or animal-derived products like leather or personal care products that are made using glycerin or lanolin. Why it's annoying: Veganism is equally a dietary and political choice, and adherents believe strongly in their ethical superiority. They will make sure you know it, too. What it is: Raw foodies, also known as raw vegans, consume uncooked and unprocessed foods. There are several different approaches to a raw food diet -- the biggest of which is that some raw fooders only eat plant-based foods, while others include dairy, eggs, meat, and fish. Either way, the rule is that your food can't be heated above 118 degrees Fahrenheit. Why it's annoying: Raw foodies combine all of the sanctimony of veganism with some powerful flatulence. Need we say more? Key catchphrase: "I'm considering going full sproutatarian." What it is: The Master Cleanse is a 10-day juice fast. You'll drink a mixture of lemon juice, cayenne pepper, maple syrup, and water six to 12 times day, and take a laxative or salt water flush in the evening before bedtime. Why it's annoying: It's a toss-up between watching your friend starve himself for 10 days and the number of times he has to take a leak. Key catchphrase: "It's not a diet, it's a cleanse." What it is: It's pretty simple, actually -- the Werewolf Diet involves fasting for a 24-hour period during both the full and new phases of the moon. 'Wolves can fast on water or on juice, and can expect to lose between 2 and 6lb a day. Why it's annoying: The name alone is enough to justify employing the "unfriend" option. Jolie Kerr is actually kind of intrigued by the Werewolf Diet. Follow her on Twitter: @joliekerr.